"Blueprint for a Green Economy" put the economics of the environment onto the public agenda. 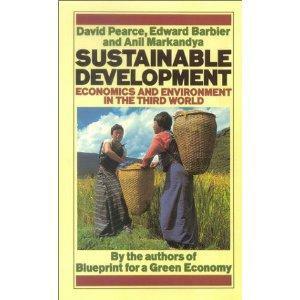 Its authors have now widened the issue by applying the principles of their earlier, ground-breaking work to the tangled issue of sustainable Third World development. They offer a definition of "sustainable development" in terms of not depleting natural resources and then examine its economic implications. The bulk of the book contains six lively case-studies of major developmental issues, from the watersheds of Java to the drylands of the Sudan, from Amazonia to Africa, all of which show the crucial importance of incorporating the economics of sustainable development into our thinking.